QRL Radiator Group has today launched a brand new low surface temperature (LST) offering, designed to provide a safe, effective and efficient heating solution. The new NHS-compliant LST casings are built to work in partnership with QRL’s market-leading hi-lo panel radiator range – matching straightforward installation and maintenance with best-ever performance and efficiency. Available in three heights, QRL’s new LST casings ensure radiator surface temperatures stay below 43°C, making them ideal for applications catering for vulnerable people (including healthcare, education, social housing and other public buildings). As well as complying fully with NHS Safe Surface Temperature guidelines, they also offer significant flexibility of installation and feature a unique hinge mechanism for easy, low-risk cleaning and upkeep. The 800mm, 650mm and 500mm casings have been specifically engineered to work in a package system with QRL’s flagship hi-lo Round Top radiators, which offer the highest levels of efficiency and heat outputs of any panel radiator on the market. Mike Wright, product development manager at QRL Radiator Group, says: “In line with tightening health and safety criteria, the LST market has seen marked growth in recent years. However, the challenge for the industry has always been balancing safety with heat outputs, and making sure that one isn’t sacrificed in pursuit of the other. At QRL, we’re committed to responding to rising demand with the most efficient, user-friendly products possible, so this was front of mind when we developed our new LST. The new LST offering was unveiled at the official opening of QRL’s permanent stand at The Building Centre in London today. They are the only purpose-built LSTs on the market to feature fully retractable, forward-opening hinges that are designed to support the full weight of the casing. As well as allowing for hassle-free upkeep and repairs, this means a standard clean can be carried out by just one person. For a deeper clean, the hinges can be fully retracted to detach the casing from the emitter altogether. For ultimate ease and versatility at the installation stage, QRL is also offering separately packaged casings and emitters – providing the option for the casings to be delivered and fitted at a later date (as part of a second fix). This not only allows for simple retrofitting to existing hi-lo panels, but also means each casing is protected from costly on-site damage from first-fix activities and associated delays. Independently tested in an EN442-accredited laboratory, QRL’s LSTs are certified to meet BS EN442 standards. They are compliant with NHS Safe Surface Temperature guidelines (max. 43˚C) when operating at a maximum flow temperature of 80˚C and a return of 60˚C, or a maximum flow temperature of 75˚C and a return of 65˚C. They come with all the components needed for hassle-free fitting and ongoing operation. This includes external and internal TRVs (thermostatic radiator valves) for safe, simple temperature control, and an anti-microbial, MRSA-resistant coating for optimum hygiene. They also feature heavy-duty pencil-proof grilles that allow air to circulate effectively, while simultaneously preventing foreign objects from accessing the emitter underneath. 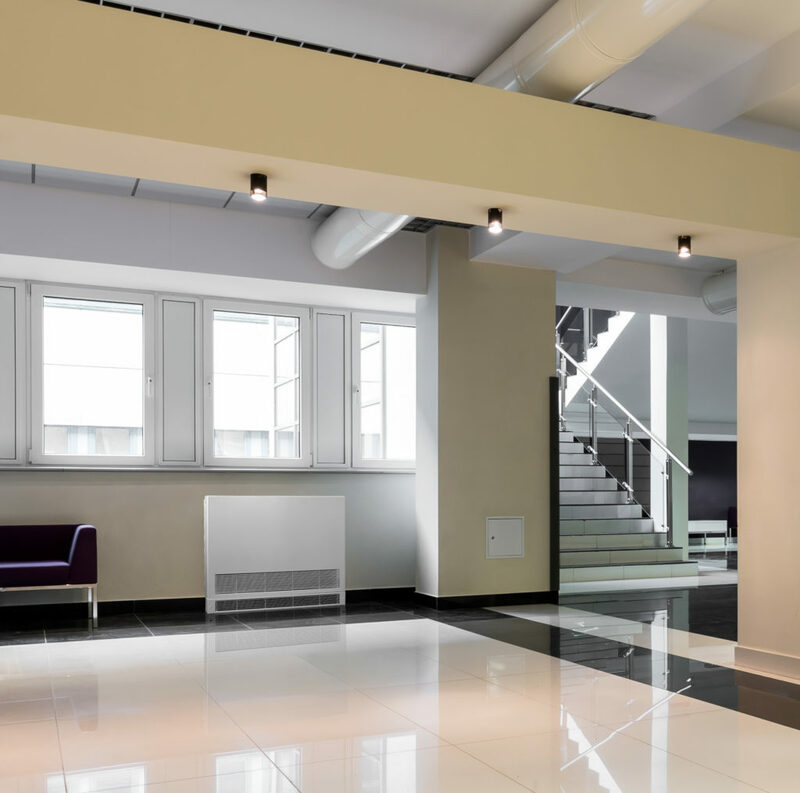 For more information about QRL’s new LST radiator offering, or any of the products in the company’s extensive portfolio of market-leading panel, feature and LST radiators, please visit www.qrl-radiators.com/lst or call 01633 657 000.